Zanuck was born in Wahoo, Nebraska, the son of Louise (née Torpin) and Frank Zanuck, who owned and operated a hotel in Wahoo. Zanuck was of part Swiss descent and was raised a Protestant. At age six, Zanuck and his mother moved to Los Angeles, where the better climate could improve her poor health. At age eight, he found his first movie job as an extra, but his disapproving father recalled him to Nebraska. In 1918, despite being sixteen, he deceived a recruiter, joined the United States Army, and served in France with the Nebraska National Guard. Zanuck then worked for Mack Sennett and FBO (where he wrote the serials The Telephone Girl and The Leather Pushers) and took that experience to Warner Bros, where he wrote stories for Rin Tin Tin and under a number of pseudonyms wrote over forty scripts from 1924 to 1929, including Red Hot Tires (1925) and Old San Francisco (1927). He moved into management in 1929, and became head of production in 1931. In 1933, Zanuck left Warners over a salary dispute with studio head Jack L. Warner. A few days later, he partnered with Joseph Schenck to form 20th Century Pictures, Inc. with financial help from Joseph's brother Nicholas Schenck and Louis B. Mayer, President and Studio head of Loew's, Inc and its subsidiary Metro-Goldwyn-Mayer, along with William Goetz and Raymond Griffith. 20th Century released its material through United Artists. During that short time (1933–1935), 20th Century became the most successful independent movie studio of its time, breaking box-office records with 18 of its 19 films, all in profitability, including Clive of India, Les Miserables and The House of Rothschild. After a dispute with United Artists over stock ownership, Schenck and Zanuck negotiated and bought out the bankrupt Fox studios in 1935 to form Twentieth-Century Fox Film Corporation. Zanuck was Vice President of Production of this new studio and took a hands-on approach, closely involving himself in scripts, film editing and producing. When the U.S. entered World War II at the end of 1941, he was commissioned as a Colonel in the Army Signal Corps, but was frustrated to find himself posted to the Astoria studios in Queens, Long Island and, even worse, serving alongside the spoiled son of Universal's founder, Carl Laemmle Jr., who was chauffeured by limousine to Long Island each morning from a luxury Manhattan hotel. Appalled by such privileged cosseting, Zanuck stormed down to Washington, D.C. and into the War Department, demanding a riskier assignment from Chief of Staff, General George C. Marshall. Since American forces were not yet fighting anywhere, Marshall had Zanuck posted to London as chief U.S. liaison officer to the British Army film unit, where at least he would be studying army training films while under Nazi bombardment by Hitler's Luftwaffe in the still-ongoing Blitz. Zanuck cheerfully endured the bombs, refusing to leave his room at Claridge's for its air-raid shelter during nightly raids and instead hosting 'blitz parties" because he had such a splendid view of anti-aircraft fire from his hotel room, not to mention coveted PX food and drink long missing from Britain's highly rationed shelves. He even persuaded Lord Mountbatten to allow him along on a secret coastal raid across the Channel to occupied France. The daring nighttime attack on a German radar site was a success. Zanuck, ever the showman, sent his wife in Santa Monica a package of "Nazi-occupied sand", writing her "I've just been swimming on an enemy beach" – not allowed, of course, to tell her where he'd been, let alone that they'd been under Nazi gunfire and helped the wounded back to the ship. While Zanuck was on duty, 20th Century-Fox, like the other studios, contributed to the war effort by releasing a large number of their male stars for overseas service and many of their female stars for USO and war bond tours—while creating patriotic films under the often contentious supervision of a fledgling Office of War Information. Jack L. Warner, whose studio lot happened to be next door to a Lockheed factory, was made a colonel in the Army Air Corps without ever actually having to leave the studio, let alone put on a uniform. Not so Zanuck, who pleaded with the War Department, as soon as American troops were posted for action in North Africa and was rewarded with the assignment of covering the invasion for the Signal Corps. The director John Ford, a longtime adversary of Zanuck's despite Zanuck's having shepherded Ford's The Grapes of Wrath (1940) past the censorious Hays office into production, had been making films as a commander in the U.S. Navy even before the U.S. entered the war, and he was horrified to discover himself drafted into Zanuck's Africa unit. "Can't I ever get away from you?" he growled. "I bet if I die and go to heaven, you'll be waiting for me under a sign reading 'Produced by Darryl F. Zanuck'." Ford's chagrin turned to real outrage when Zanuck, after three months, took all their footage from battles in Tunisia, most of which Ford had shot, and hastily assembled it into a picture that went into American theaters without Ford's name appearing anywhere. The movie, released as "At The Front" with Zanuck credited as producer, was poorly received in the States, called amateurish, dull and even lacking in realism, prompting the affronted Zanuck to counter in The New York Times that he had resisted the temptation to stage events for a more convincing film. Unfortunately, this controversy landed Zanuck into a Senate subcommittee headed by Senator Harry S. Truman, investigating "instant" colonels who were popping up and concentrating on famous Hollywood names. Unlike Col. Warner, most colonels from the studio system—Col. Frank Capra, Col. Anatole Litvak, Col. Hal Roach—were actually doing their cinematic jobs, often, like Zanuck, under enemy fire. Nonetheless, when Col. Zanuck was named in this investigation in 1944, the usually combative mogul uncharacteristically and abruptly resigned his commission and left the Army. Biographer Leonard Mosley suggests this to be because of an inadvertent security leak when Zanuck had mentioned a top-secret, brand new, massively powerful bomb the size of a "golf ball" to a fellow officer from his Hollywood world. Whatever the reason, despite having published his own first-person account of his wartime adventures (The New York Times critic Bosley Crowther actually liked this book better than the film) he resigned. Zanuck returned to Twentieth Century-Fox in 1944. a changed man. He avoided the studio and instead read books at home, surrounded by his growing family, and caught up on all the films he had missed while overseas in his private screening room. Not until William Goetz, the man Zanuck had left in charge when he went off to war, left for a job at Universal did Zanuck return to take the reins. Zanuck's tenure in the 1940s and 50s resonated with his astute choices. He first personally rescued a cumbersome cut of The Song Of Bernadette (1943), recutting the completed film into a surprise hit that made a star of newcomer Jennifer Jones who won the Oscar. He relented to actor Otto Preminger's fervent wish to direct a modest thriller called Laura (1944), putting Clifton Webb in his Oscar-nominated role as Gene Tierney's controlling mentor, with David Raksin's haunting score. Leading theater director Elia Kazan was carefully nurtured through his first film, A Tree Grows in Brooklyn (1945), based on a popular novel. It did so well he chose Kazan to direct the first studio film on anti-Semitism, Gentleman's Agreement (1947), with Gregory Peck playing a Gentile reporter whose life falls part when implacable anti-Semitism emerges from friends and family when he pretends to be Jewish for an expose. More Oscars for Best Actor and Best Picture. After Kazan triumphed in Tennessee Williams' Broadway hit, A Streetcar Named Desire, he brought Kazan back to direct Pinky (1949), another film about prejudice, this time racial. The scathing theater world of Bette Davis's aging actress in All About Eve (1950) won Oscars; the disturbing questions of bomb squad leader Gregory Peck in Twelve O'Clock High (1949) challenged wartime patriotism. Both showed Zanuck's ability to create box office hits via brilliant films with unflinching examinations of demanding, hierarchical worlds. Zanuck continued to tackle social issues other studios wouldn't touch (see Legacy section.below). But he stumbled with idealistic projects. Wilson (1944), an expensive picture that was unsuccessful at the box-office, and an attempt to make a film of One World, a memoir by politician Wendell Willkie of his tour of war-damaged Europe, a project that was aborted before shooting began. As television began to erode Hollywood's audiences in the early 1950s, widescreen presentation was thought to be a potential solution. The 1950 television set duplicated the near-square shape of the 35 mm format in which all movies were shot — and this was no accident. Standardization of film size meant all theaters everywhere could play all films. Rather unbelievably, even the projection of film formats—i.e. any attempt to break out of the 35mm format—were under the control of the Hays Office, which limited any wide-screen experiments to the ten largest cities in America. This severely limited the future of any widescreen format. Zanuck was an early advocate of widescreen projection. One of the first things Zanuck did when he returned to Fox in 1944 was to restart the research on a 50mm film, shelved in the early 1930s as a cost-cutting measure (a larger-sized film in the projector meant higher resolution). Impressed by a screening in Cinerama, a three-projector widescreen process, unveiled in 1952 that promised to envelop the viewer in a wrap-around image, Zanuck wrote an essay extolling widescreen's virtues, seeing the new formats as a "participatory" form of recreation, rather than mere passive entertainment, such as television. But Cinerama was cumbersome, and used three projectors simultaneously, potentially a hugely expensive investment. Fox, like every other studio had rejected Cinerama when the innovative new process was pitched to them for investment. In retrospect, this looked like a mistake, but nothing could be done. Cinerama was no longer for sale. Zanuck now urged the studio to keep the same principle, but find a more feasible approach. He approved a massive investment into a system that would be called Cinemascope—$10 million in its first year alone. The urgency was increased when an aggressive appliance tycoon and shareholder, Charles Green, began threatening a proxy takeover, claiming the current Fox administration was wasting stockholders money. He attempted to conspire with Zanuck to oust the New York-based President of Fox since 1942, Greek-American Spyros Skouras. Zanuck refused; instead, he and Skouras decided to gamble on Cinemascope to save their jobs, and perhaps, their studio. Skouras made a bold announcement in February: Fox not only had a new and vastly more economical and efficient wide-screen process, but all Fox films would be released in Cinemascope—a format which had yet to be perfected. The Robe (1953), a Biblical epic, would be its first released feature film. Skouras now began to oversee Fox's somewhat startled research scientists, based on the East Coast and accustomed to Hollywood executives who thought R & D was a waste of money. Then Skouras flew to Paris to meet with a French inventor, Henri Chretien, who had created a new lens that just might be suitable. With Chretien's new lens, the Fox engineers pulled it together—a widescreen, Cinerama-like picture projected using merely one projector, not three. Zanuck carried out presentations of Cinemascope to the press in cities across the country throughout April, as he and Skouras gathered their forces for the proxy fight. "The enthusiastic response of those who attended these screenings and the laudatory reviews of CinemaScope in the trade press," writes John Belton in his book, Widescreen (1992), "undoubtedly played a major role in Green's defeat" at the May 5 meeting. Cinemascope's need for a wider screen was because of an anamorphic lens attached to the camera which squeezed the image while filming, and another lens on the projector which reverted the process, widening the image for screening. But implementing this was no easy matter. Directors, cameramen and production designers were baffled by what to do with all that space. Zanuck encouraged them to spread the action across the screen, to take full advantage of the new proportions. Committed to its all-widescreen slate, Fox had to drop several projects that were deemed unsuitable for Cinemascope—one of them being Elia Kazan's On The Waterfront (1954), which Zanuck could not visualize being in color and widescreen. (Kazan took the project to Columbia, who had thus far stayed on the sidelines of the widescreen debate.) The public demonstrations that spring had already included excerpts from The Robe and How to Marry a Millionaire (also 1953), a glossy star package with Marilyn Monroe and Lauren Bacall. Of the other studios, MGM had immediately abandoned its own attempts and committed to Cinemascope and United Artists and Disney announced they would make films in the same widescreen process. But the other studios hesitated, and some announced their own rival systems: Paramount's VistaVision, which would prove a worthy rival, Warner Brother's Warnerscope which vanished overnight. The November 3, 1953 premiere of The Robe brought Warner Bros. and Columbia around, though Warner's plan was a full slate of 3-D features for 1954 instead. Zanuck began to make compromises, and eventually capitulate. Smaller theaters rented conventional versions of the studio's films; stereo they could live without altogether. Todd-AO came out in 1955, and after its developer, Mike Todd, died in 1958, Zanuck invested in the process for Fox's most exclusive roadshows. Although pictures continued to be shot in Cinemascope until 1967, it ironically became relegated to Fox's conventional releases. Nonetheless, the Battle of the Screens seemed to leave Zanuck emotionally exhausted. He began an affair with a young Polish woman, who was actually a guest of his wife, changing her name to Bella Darvi. When he cast Darvi in The Egyptian (1954), she was so mediocre and the script so unsatisfactory, that star Marlon Brando walked off the picture after the first read-through. He agreed to give Fox two other pictures rather than return. Her unintelligible accent helped sink not only the ponderous film, but his long-enduring marriage, and indeed his life at the studio itself. In 1956, Zanuck withdrew from the studio and left his wife, Virginia Fox, to move to Europe and concentrate on independent producing with a generous contract from Fox that gave him directing and casting control on any projects Fox financed. Eventually, in his absence, Fox began to fall to pieces thanks to the ballooning budget of Cleopatra (1963), whose entire set built at Pinewood Studios had to be scrapped before shooting even started. Meanwhile, Zanuck picked up a hefty book by Cornelius Ryan called The Longest Day which promised to fulfill Zanuck's dream of making the definitive film of D-Day. Flying back to the States, Zanuck had to convince a Fox board staggering under the still-unfinished Cleopatra's $15 million cost to finance what he was sure would be a box-office hit. As indeed it was, despite skeptics that included his son Richard. He seethed at the $8 million ceiling imposed on him, knowing he would have to dip into his own pocket to finish the film, as he soon did. To the all-star all-male cast, he added an unknown French beauty, Irina Demick, as a resistance worker. She had become his mistress after her casting session for the film's only female speaking part. She would be followed by Geneviève Gilles and the French singer Juliette Gréco. Greco, who in fact had her own recording career, published a kiss-and-tell memoir in the French press which Zanuck managed to quash. Probably for reasons like this, though he stayed in Europe for some years, Zanuck would not divorce his wife Virginia, nor she him. She stayed patiently in Santa Monica, a neglected but effective Maginot line against the claims of her rivals. This would prove to be a costly mistake. Fearing the studio's profligacy would sink his cherished The Longest Day (1962) as it readied for release, Zanuck returned to control Fox. He replaced Spyros Skouras as president, who'd failed to control perilous cost overruns on the still-unfinished Cleopatra (1963) and had been forced to shelve Marilyn Monroe's last vehicle, Something's Got To Give after principal photography had started, at a loss of $2 million. Zanuck promptly made his son, Richard D. Zanuck, head of production. Richard quickly displayed his own flair for picking fresh, new hits, helped by his trusted fellow producer, David Brown. He hired the then-unknown Francis Coppola to write Patton (1970) into a project for George C. Scott; he committed to the science fiction hit Planet of the Apes (1968), unleashed maverick director Robert Altman to create his antiwar comedy MASH (1970). He plucked Rodgers and Hammerstein's least successful Broadway show from obscurity and turned it into the highly successful The Sound Of Music (1965). But Zanuck Sr's next all-star World War II film Tora! Tora! Tora! (1970) was plagued with production problems from the start. First director David Lean pulled out of the Pearl Harbor retelling, and had to be hastily replaced by Richard Fleischer; storms destroyed expensive exteriors, closing down production while they were rebuilt; then the Japanese co-director Akira Kurosawa, miffed by criticism of his early rushes, either really had or merely faked a nervous breakdown before his cast and crew and had to be hospitalized, shutting down production again. When finally finished, the relentlessly authentic film couldn't disguise its downbeat nature as a chronicle of American defeat, the last thing critics and audiences wanted to revisit at the height of the Vietnam War in Asia. By the decade's end, Zanuck Sr. was frittering away millions on expensive vehicles in Europe for his new girlfriend, Genevieve Gilles. Barely twenty years old, she had her own contract to produce and star in Zanuck's films. Her first acting effort, Hello-Goodbye (1970), died on release. The studio lost $4 million. From her Paris apartment, Gilles interviewed directors for her next script, written herself. Zanuck was never at the studio, seldom even in America. He seemed to have nothing on but more projects for Gilles. Quietly, eyeing a debt level whose interest they could hardly afford to pay, the nervous board members moved Richard to President and promoted his father to Chairman. Or, more accurately, kicked the old man upstairs, which is how Zanuck began to perceive it. When Gilles' contract came up for renewal, Richard—for the first time—had the power to cancel it, and he did. The stage was set for a showdown of Oedipus proportions. At the end of 1970, Zanuck hurriedly assembled the board the day before New Year's. A wounded lion in winter, the father coldly denounced his son's incompetence in front of the entire board and summarily fired him. Richard, stunned and humiliated, flew back to LA on New Year's Day; a studio guard stood watch at his office; it was left to his secretary to tell him he had until six PM to be off the lot. Richard went to work for Warner Bros. and forgave his father. They spoke on the phone. Virginia put her foot down and Gilles was gone. After so much blood on the floor, Darryl Zanuck was now back in the fold of his original family. His health failed; he suffered a stroke, but lived to celebrate his fiftieth wedding anniversary with Virginia. Richard moved to Universal Pictures with his producing partner, David Brown. They gave 26-year-old Steven Spielberg his first feature; their second movie was The Sting. Darryl predicted it would win the Oscar, and it did. A long-time cigar smoker, he died of jaw cancer at the age of 77 in 1979. At his request, the music played at his funeral, attended by many movie stars in Hollywood, was the hummable theme song from The Longest Day, the sole movie into which he had sunk his own money. He is interred at the Westwood Village Memorial Park Cemetery, near his wife, Virginia Fox in Westwood, Los Angeles, California. Haunted by his part in creating the racist Ham and Eggs at the Front (1927), Zanuck began tackling serious issues, breaking new ground by producing some of Hollywood's most important and controversial films. Long before it was fashionable to do so, Zanuck addressed issues such as racism (Pinky), anti-Semitism (Gentleman's Agreement), poverty (The Grapes of Wrath, Tobacco Road), unfair unionization and destruction of the environment(How Green Was My Valley), and institutionalized mistreatment of the mentally ill (The Snake Pit). After The Snake Pit (1949) was released, thirteen states changed their laws. 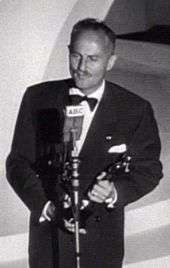 For his contributions to the motion picture industry, Zanuck earned three Irving G. Thalberg Awards from the Academy of Motion Picture Arts and Sciences; after Zanuck's third win, the rules were changed to limit one Thalberg Award to one person. 20th Century Fox, the studio he co-founded and ran successfully for so many years, screens movies in its Darryl F. Zanuck Theater. 1 2 3 Per IMDb. ↑ Gussow, Mel (September 1, 2002). "FILM; Darryl F. Zanuck, Action Hero of the Studio Era". The New York Times. Retrieved May 1, 2010. ↑ Maas, Frederica Sagor (1999). The Shocking Miss Pilgrim: A Writer in Early Hollywood. Lexington, KY: The University Press of Kentucky. pp. 44–45. ISBN 0-8131-2122-1. ↑ Ilias Chrissochoidis (ed. ), Spyros P. Skouras, Memoirs (1893–1953) (Stanford, 2013), 104. ↑ Mosley, Leonard (1984) Zanuck: The Rise and Fall of Hollywood's Last Tycoon, pp. 199–200. ↑ John Murray (2008). Charlotte Mosley, ed. In Tearing Haste: Letters Between Deborah Devonshire and Patrick Leigh-Fermor. ↑ Hift, Fred (September 1, 1994). "The Longest Day". Cigar Aficionado. Retrieved December 6, 2011. ↑ "Virginia Zanuck (1908 - 1982) - Find A Grave Memorial". www.findagrave.com. Retrieved 2016-07-20. ↑ "Darryl F. Zanuck | Hollywood Walk of Fame". www.walkoffame.com. Retrieved 2016-07-20. ↑ "Darryl Zanuck". latimes.com. Retrieved 2016-07-20.